Rather excitingly, I’ve been sent a brand new subscription box to review. We all know I love finding things in the mail box, so I was contacted by Honey Tree Stationers who asked if I’d like a sneaky peek at their first box. It’s gorgeous. 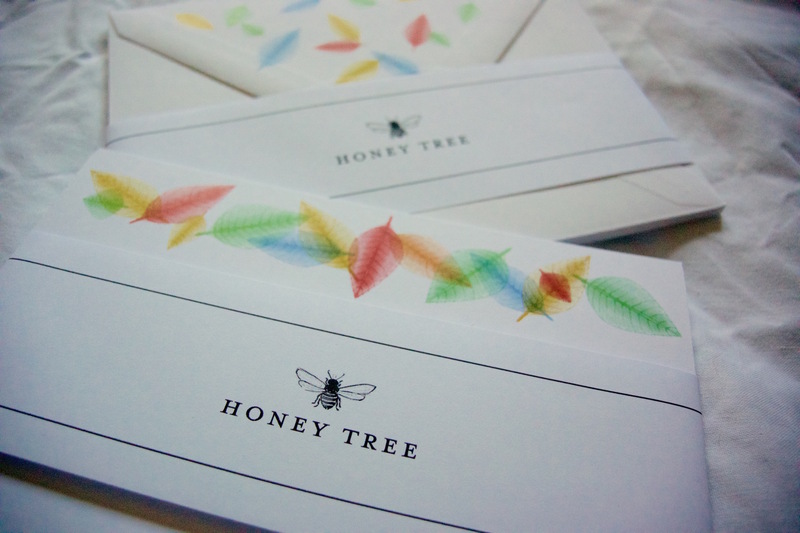 I chose the Stationery Lovers Club – a selection of at 7 items from Honey Tree, like “greeting cards, postcards, notecards, gift tags and hand drawn prints ready to frame”. 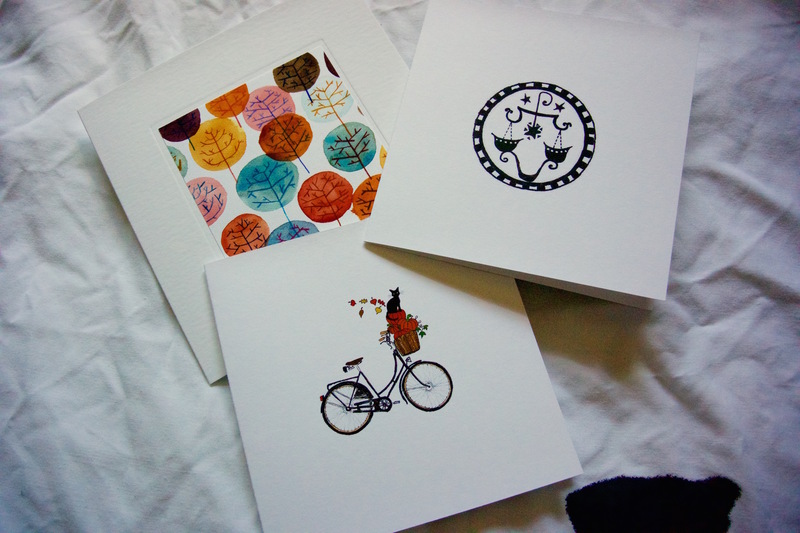 My favourite items are at the top – a pretty notecard and envelope set with autumnal leaves. I love how they’ve themed the box for the change of season. 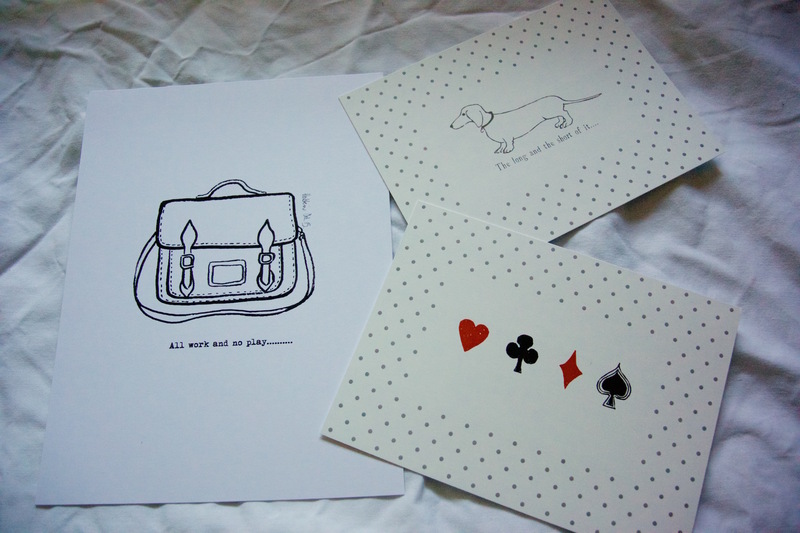 The rest is super cute as well – the satchel print is going to go perfectly on my new noticeboard at work, and I already know who to give the sausage dog postcard to. The cards are charmingly drawn, and they have loads more on their bespoke stationery website – it makes me wish that I was one of those really organised people who sends family christmas cards, and cards just to say hello to acquaintances. 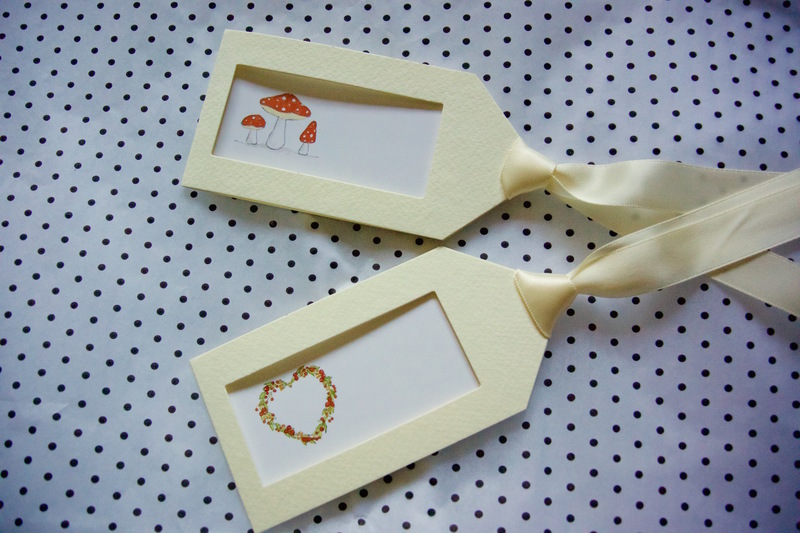 I imagine sitting at a writing desk with a sturdy fountain pen in my hand, writing on the beautiful thick card. I mean, my writing is a hideous mess so I’d probably ruin the cards but in an ideal world it’d be perfect. HoneyTree also supports Post Pals, a charity that is “dedicated to making seriously ill children and their siblings smile by the sending of cards, letters, little gifts, support and friendship” – they will donate £1 from every subscription to the charity. What a wonderful idea. If you sign up before 30th September, you can get 50% off your first box with the code HTP50. That makes the box positively bargainous for ephemera fans.